Decorating your apartment/rental can be tough. You want to make it your own place and showcase your style, but you most likely can’t make the changes that you want (or any changes at all) because, well, you’re just renting. Painting is usually out and even putting nails in the wall seems like a big commitment when you don’t know how long you’re going to be living there. 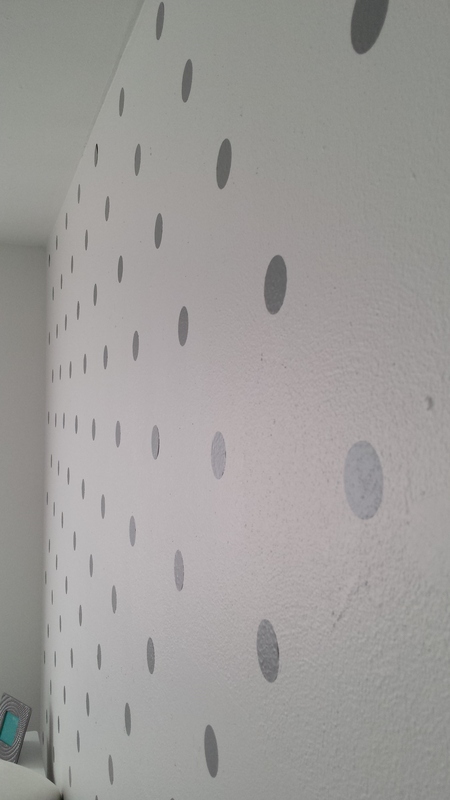 Just the thought of spackling and painting over all those holes when you move out is enough to not want to make any holes in the wall in the first place. I was wanting to make a statement in the bedroom of my apartment with minimal effort and easy clean up for the future when it is time for me to move out. 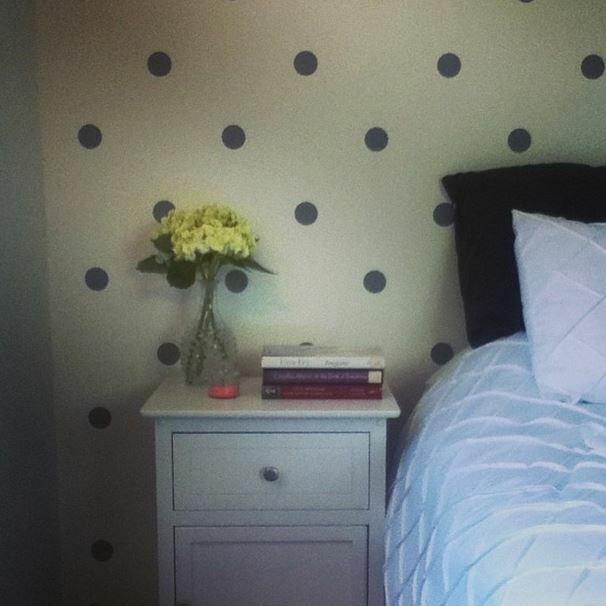 I decided to make a polka dot wall using vinyl stickers and I LOVE how it turned out! I ordered the silver circles from Etsy here. 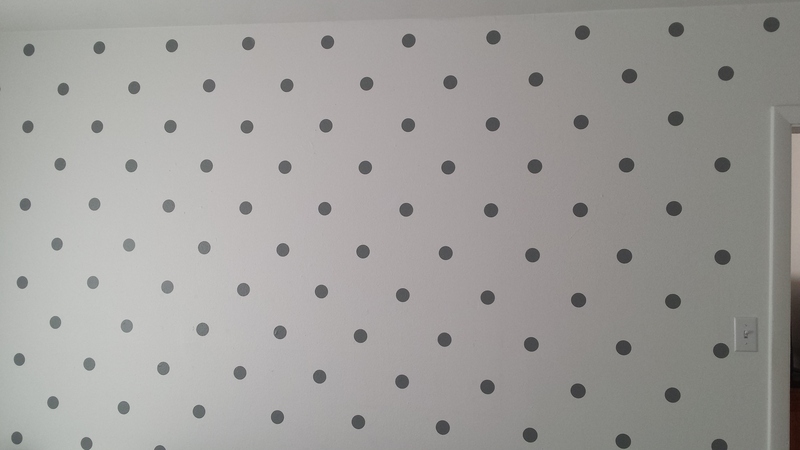 It was so easy just to peel and stick them on the wall! I accidentally placed one in the wrong spot and had to remove it- thankfully they come off the wall very clean and easy! I didn’t use a level, but thankfully the lines turned out pretty straight! But a level would have probably been really helpful. If you do this, you should definitely use a level. I absolutely LOVE having this statement wall in my apartment! There are a few other tips and tricks I have up my sleeve when it comes to decorating a rental (one of the perks of getting to see other people’s apartments for 3 years was that I got a lot of great decorating ideas!) but I will save those for another post. This is such an adorable idea! I’m really enjoying reading your blog, and thanks for the febreze warning lol. I know it’s an old post but I loved it!!! Love it, although if I were going to do it I think I would have done random polka dots (because all that measuring would be too much work for me!). What a great idea!! I’m so impressed with out neat and even these turned out. Lovely!